Proper mowing, weed reduction, water and other simple tasks will keep lawns healthy heading into spring. Typically, by this time of winter, warm season lawns such as St. Augustine grass and Bermudagrass are dormant. However, due to unseasonably warm conditions this winter, we’re still seeing a fair amount of green active growth on many lawns. Even so, lawns that may still be green have slowed down considerably. Most of the activity is going on beneath the soil: lawns in the Dallas area will continue to grow new roots over the winter months. Yet, the way you maintain your lawn, or don’t, during winter has a big impact on how strong it emerges the following spring. Come early spring, we often see the effects of too much water, not enough water, poor mowing practices, skipping fall fertilization, and more. Lawns that are nutrient deficient, suffering from compacted soil, or infected with a fungal disease are much more susceptible to freeze damage; especially St. Augustine lawns. When a hard freeze does hit, you may lose patches or large areas of your lawn. If you skipped out on some important lawn maintenance tasks in 2015, now’s a great time to make a resolution for the New Year to recommit to a beautiful and healthy lawn. While winter is not the time to put down plant fertilizers on your lawn, it is time to feed the soil. Because our soils do not stay frozen all winter, there are plenty of hungry microbes working away. Feeding them will help improve the overall quality of the soil, which will in turn strengthen your lawn. Now is a good time to feed the soil with humic acid and earthworm castings to give it a pre-spring boost. These organic soil conditioners will also help balance moisture retention and reduce compaction in clay soils. microorganisms to flourish and help your soil maintain healthy plants. 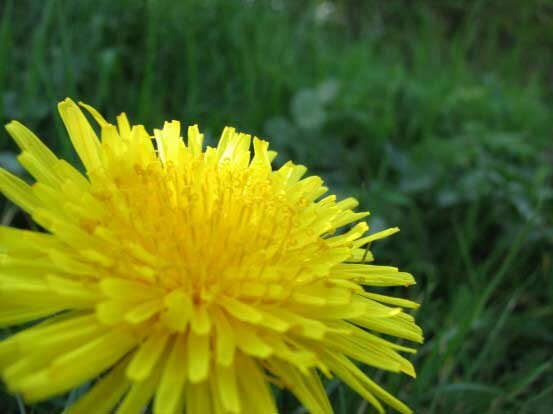 Want to greatly reduce weeds in your spring lawn? Mow on time! Keep in mind, most lawns don’t need mowing in winter months. And mowing them too short can leave them exposed to freeze damage. So you don’t want to overdo it. However, mowing at the right time can help reduce the spread of noxious weeds once they start growing. Most warm-season lawns won’t require regular mowing until mid-March; but the spring weeds get an earlier start. Depending on the weather, you may want to start mowing in mid-February if weeds begin to grow quickly. As a bonus, starting to mow a little earlier in the season allows sunlight to reach the soil, warming it; this can encourage warm-season lawns to come out of dormancy a bit earlier. To Water or Not to Water. If there is one thing we’ve had plenty of this past year, it’s rain! However, we know all too well that when the rain stops, it could be a while before it returns. Typically, we receive enough rainfall in winter to keep lawns healthy, with only an occasional sprinkler watering every few weeks. Too often, winter lawns are overwatered, causing them to suffer from oversaturated soil and fungal diseases. How do you know if your winter lawn needs a drink? If the soil is moist five to six inches deep, then you do not need to water. If the soil feels dry just a couple of inches down, then go ahead and water. More about winter watering HERE. Did you know? Deeper waterings encourage deeper root systems. When roots grow deep into the soil, with access to moisture several inches below the soil line, your lawn will be more vigorous and tolerant to periods of drought. Remember, lawns stressed by poor maintenance practices will suffer more cold damage and have a hard time coming back strong in spring. Good winter maintenance, and lawn care year round, will help your lawns come back strong spring after spring.